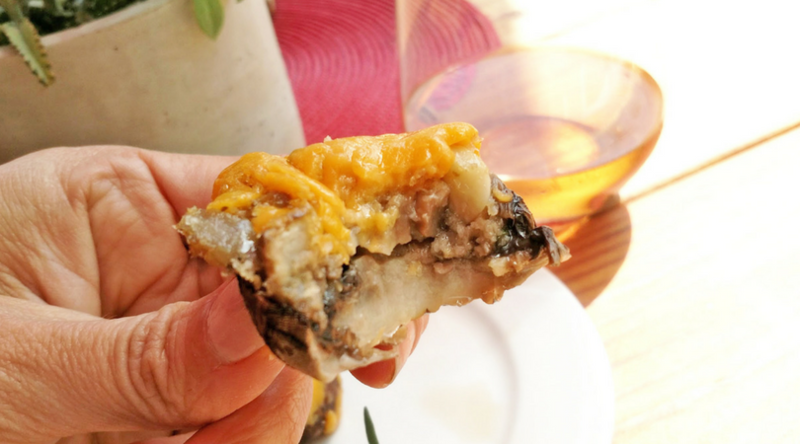 These stuffed rosemary mushrooms are easy, tasty and tangy with Black Creek® premium Cheddar cheese. You can bake these in the oven, but the weather is nice and why heat up your kitchen? Fire up the grill and make these appetizers for your Memorial Day guests and watch them disappear. 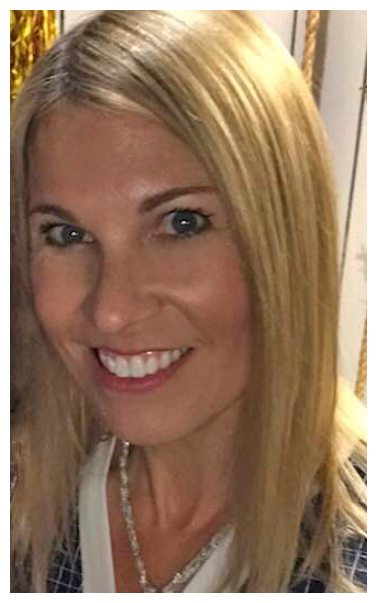 I love the taste of award-winning Black Creek® premium Cheddar cheese is born in Wisconsin’s Fox River Valley, an area known for its rich soil and picturesque pastureland. Although I’m from California, I prefer my cheddar from Wisconsin for the flavor. The region’s cows graze on these nutrient-rich grasses producing distinctly rich and creamy milk. Under the watchful eye of a Certified Master Cheesemaker, this milk is conscientiously cultivated into smooth, full-flavored Cheddar. 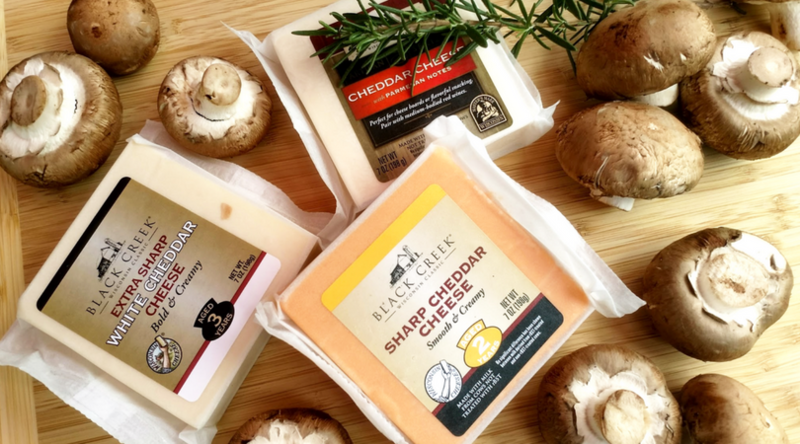 Aged for up to three years, Black Creek® Cheddar offers a pleasantly sharp and complex flavor profile that is both rich and nutty. You may use any of the Black Creek® premium Cheddar cheese varieties in this recipe, however, I opted for the Black Creek® Sharp Cheddar (Aged 9 months). De-stem each mushroom and reserve stems to the side. Dice mushroom stems, onion, rosemary, and garlic and saute’ on medium until vegetables are soft and some juice has cooked out. Cool down and mix in 1/2 cup Panko crumbs. Stuff cooked mushroom and Panko mixture into each mushroom on a cookie sheet. 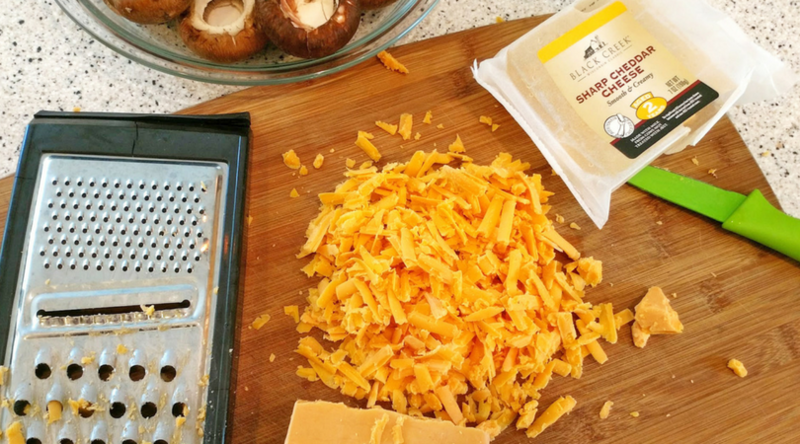 Shred about 1 cup of Black Creek® premium Cheddar cheese. Top each mushroom with a large pinch of cheese. Bake at 375 in an oven for 20 minutes, or on a BBQ with the lid closed (check cooking process after 10 minutes). 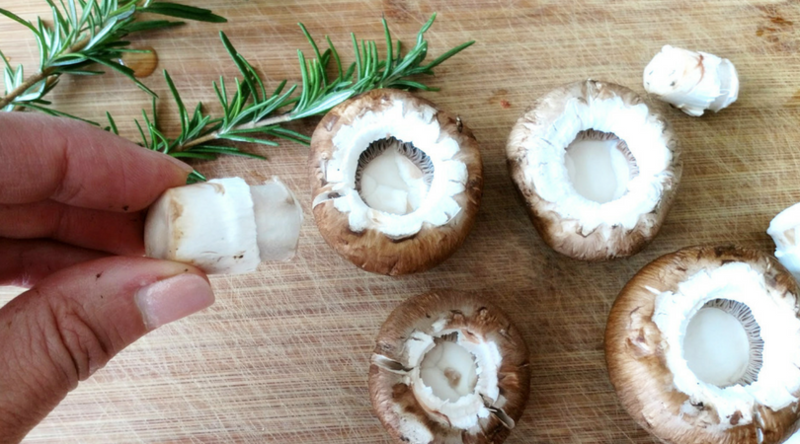 Mushrooms are done when they are slightly wrinkled, dark brown and the cheese has melted completely. Serve immediately with napkins or small plates. 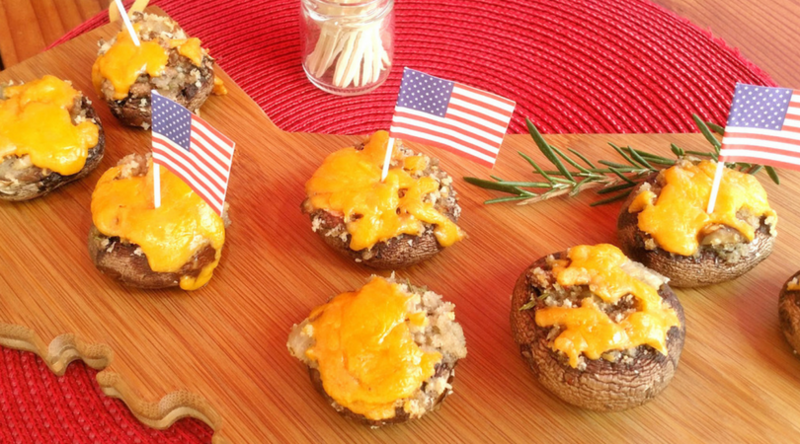 These delicious cheddar topped mushrooms hot off the grill are perfectly paired with an ice-cold Pale Ale, iced tea or glass of rose’. 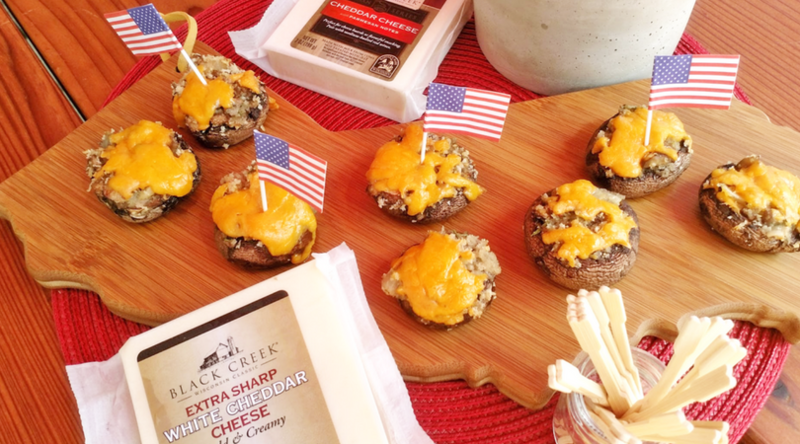 Check your local store to here to find Black Creek® premium cheeses. 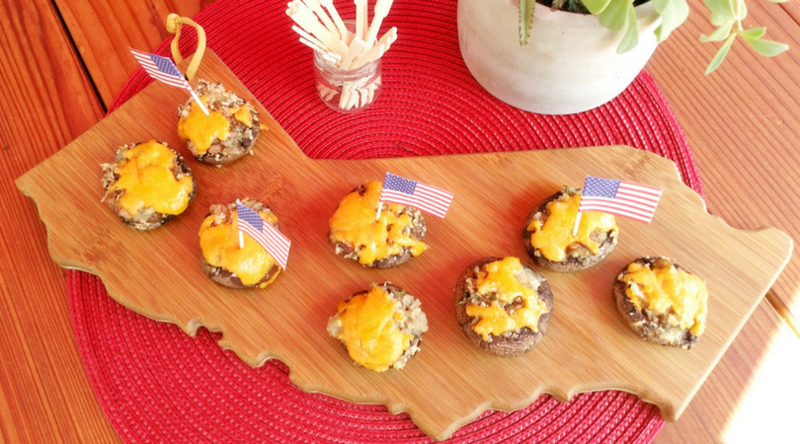 Bring on Summer entertaining, and try out these delicious cheddar topped mushrooms! 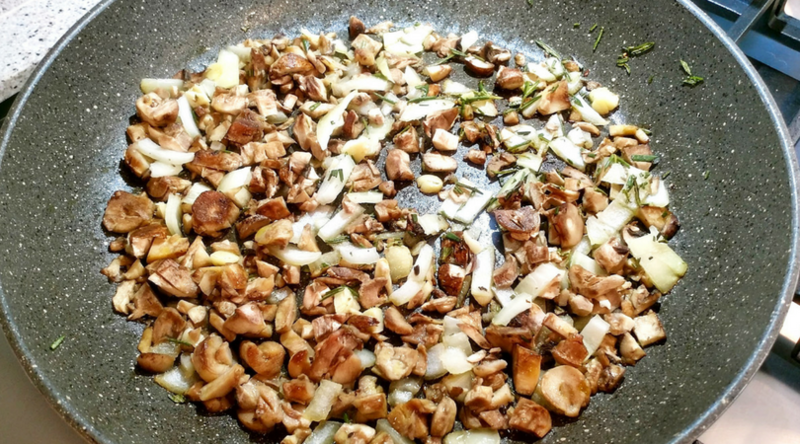 Dice mushroom stems, onion, rosemary, and garlic and saute' on medium until vegetables are soft and some juice has cooked out. 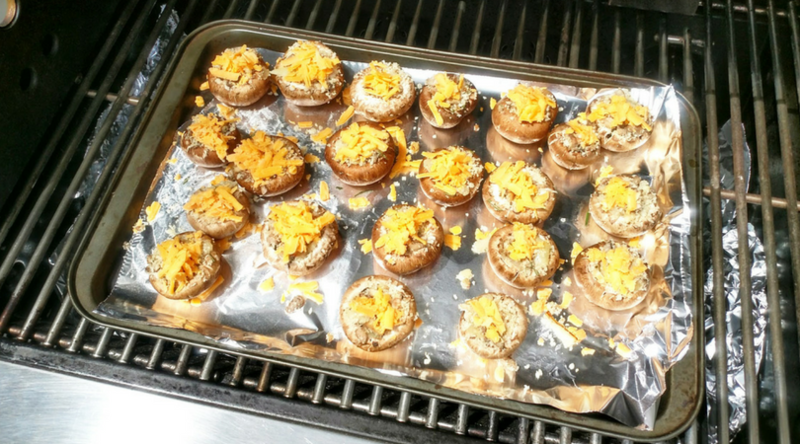 These delicious cheddar topped mushrooms hot off the grill are perfectly paired with an ice-cold Pale Ale, iced tea or glass of rose'.